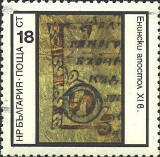 The Enina Apostle is a Cyrillic manuscript from the 10th and 11th century. 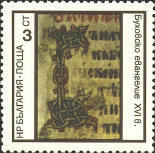 It is a transcription of an earlier translation of a liturgical manuscript, made by Saints Cyril and Methodius, of 39 leaves containing the readings from the 35th Sunday after Pentecost until the vespers of Holy Saturday, and from September 1 to October 31. 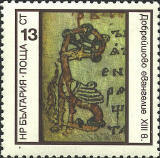 The manuscript came from the Holy Petka Tarnovsak church in the village of Enina and is preserved in the National Library in Sofia. 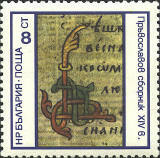 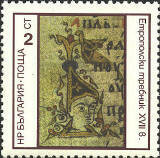 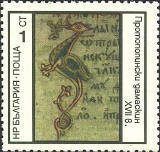 The three stamps were issued in 1978 in observance of the 100th anniversary of the St. Cyril and Methodius National Library of Bulgaria in Sofia. 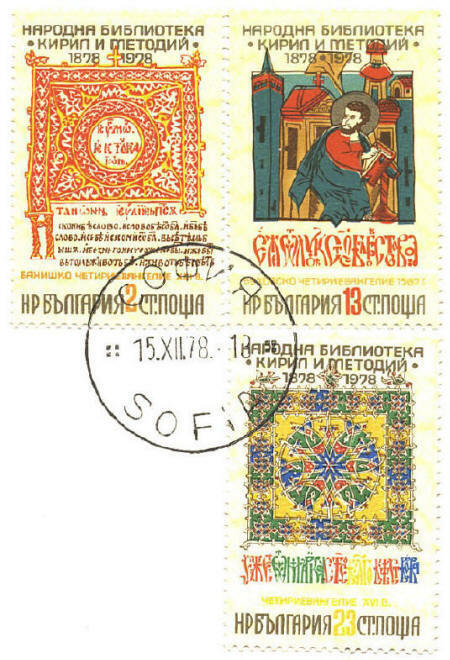 Clockwise from the upper left: a page from a 13th century Gospel, St. Cyril from a miniature of 1567, a 16th century book cover.